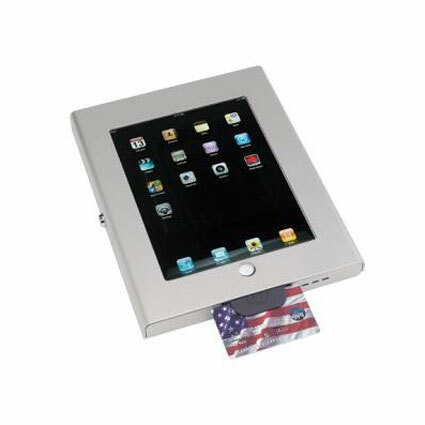 Protect your iPad with the Rhino Elite iPad Enclosure. 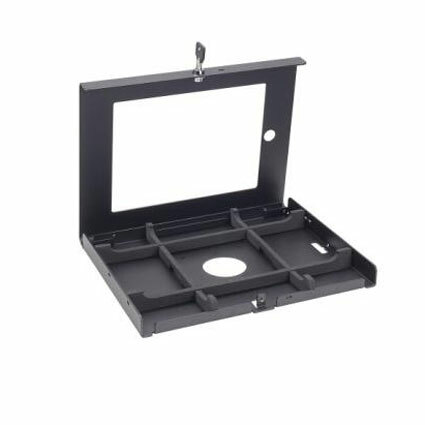 Sturdy metal siding with a silicon padded interior help protect from short falls and the VESA mountable locking enclosure aids in securing your investment from theft. Some of the available mounting accessories include short and tall tilting stands and extending swivel arms. 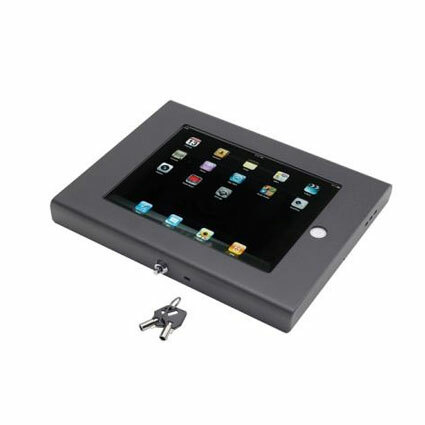 Securely mounted iPad’s can be used for kiosk and customer service purposes or even point of sale. Openings in the Rhino enable full iPad functionality but if limited capability is required different opening configurations are available. 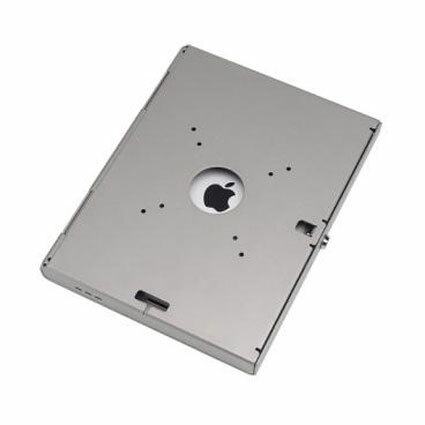 For credit card processing purchase the model with an opening for the iDynamo card reader.